The next-generation Neuromonics Oasis™ is the FDA-cleared, patented and clinically proven medical device with documented long-term relief of tinnitus. Using this customized tinnitus treatment, you can be on your way to significant relief from ringing in your ears. The Neuromonics Oasis is prescribed by a trained audiologist and is easy to use. It resembles a small, digital consumer music player. Your audiologist will program the device with a customized tone that desensitizes you to the sounds of tinnitus. The Oasis works with the Neuromonics Tinnitus Treatment (NTT). 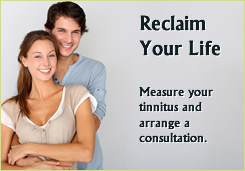 The program treats the underlying causes of tinnitus. It helps the brain overcome the initial damage caused to the auditory system and reduces the brain’s interpretation of tinnitus sounds as harmful. The NTT is not a tinnitus retraining therapy, but a comprehensive program that can provide long-term relief under the care of a trained audiologist. To determine if the Neuromonics Tinnitus Treatment, with the Oasis device, is right for you, click here. Find a clinician in your area. Neuromonics Oasis Tinnitus Treatment Process – 5 Simple Steps! How Do I Get Started Offering Tinnitus Management Services in my Practice? WESTMINSTER, Colo., March 30, 2016 – Neuromonics, Inc., maker and distributor of patented and clinically proven medical devices designed for tinnitus relief, is introducing a downloadable product for mobile devices.